Upon arrival in our new home in San Francisco, Mexico, Yoda found himself in a new home, excited as usual to discover a new place but in desperate needs of new toys! Luckily for him, we just found a new subscription box that could answer his wildest cat dreams. 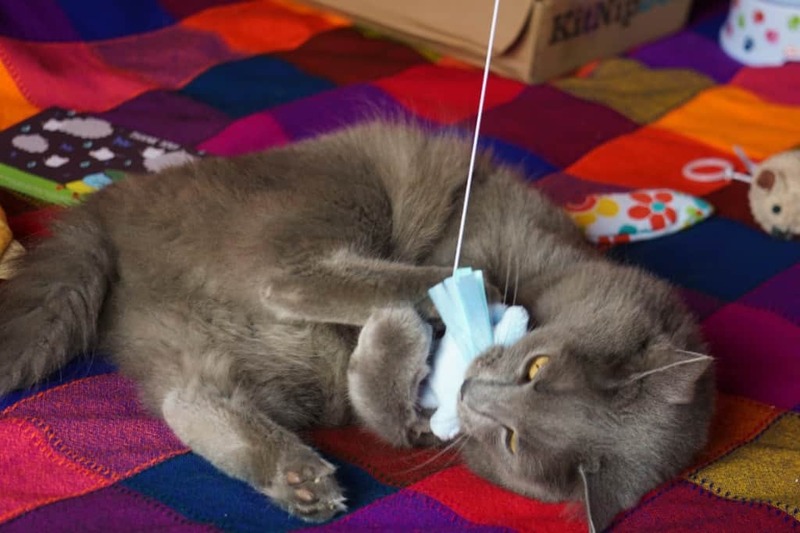 Discover how KitNipBox saved Yoda from boredom in our review! For those of you not familiar with the concept, KitNipBox is a subscription box for cats. You subscribe to their offer and receive brand new toys and treats every month. 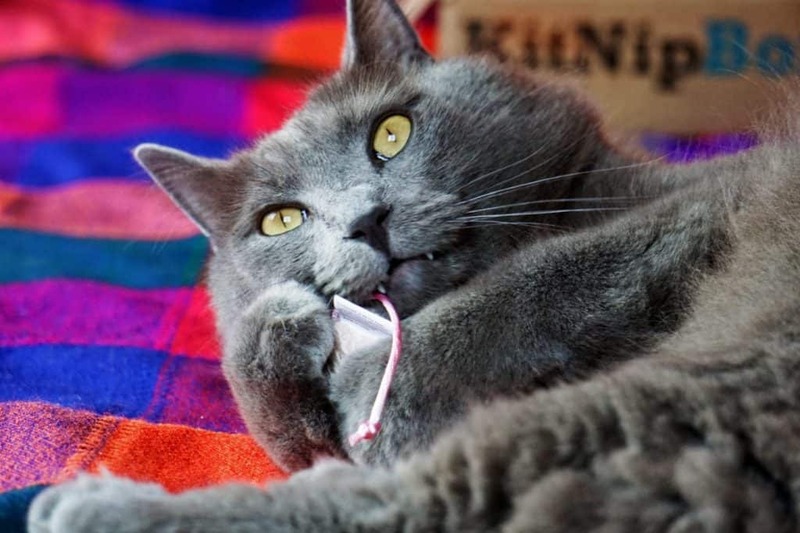 For a small monthly fee, you let a team of experts, led by their CMO (Chief Meow Officer, Sylvester the black cat) select the most fun products out there that will keep your beast entertained for hours. It’s a pretty sweet deal, especially if you have to leave your cat home a few hours a day when you are working! The card will detail each item, although it specifies that occasionally items might be different than what is listed. “No treat” boxes (like ours) will have another special item to replace the edibles. We think our replacement item was the food/water bowl. A portion of the proceeds from each KitNipBox is donated to animal-welfare causes. 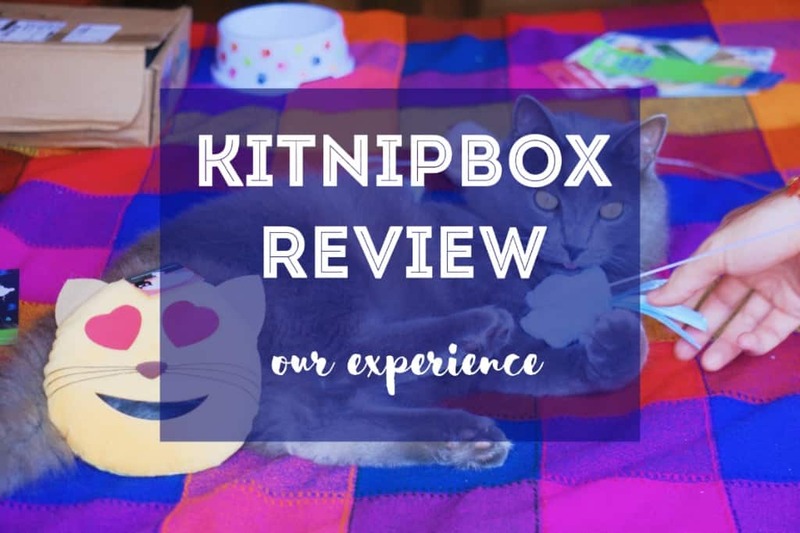 KitNipBox Review | Why Choose KitNipBox? The advantage of a subscription box is that it creates novelty for your cat every single month. 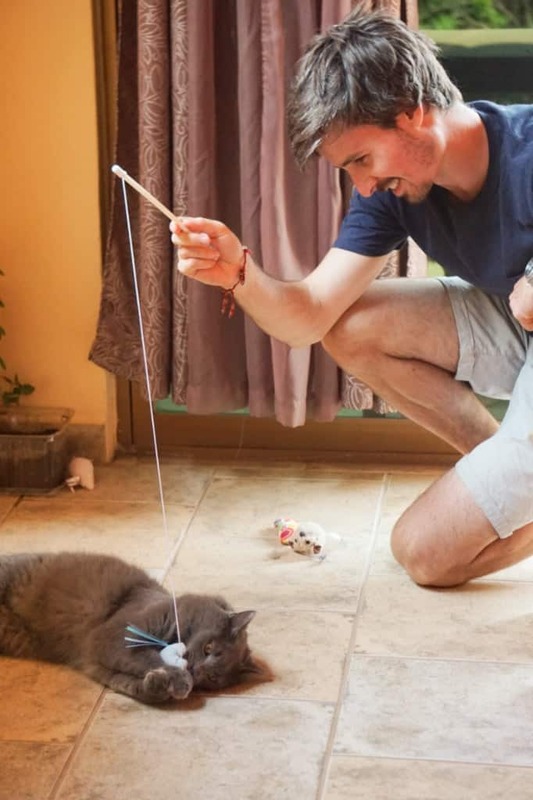 We all know the importance of a well-entertained kitty! 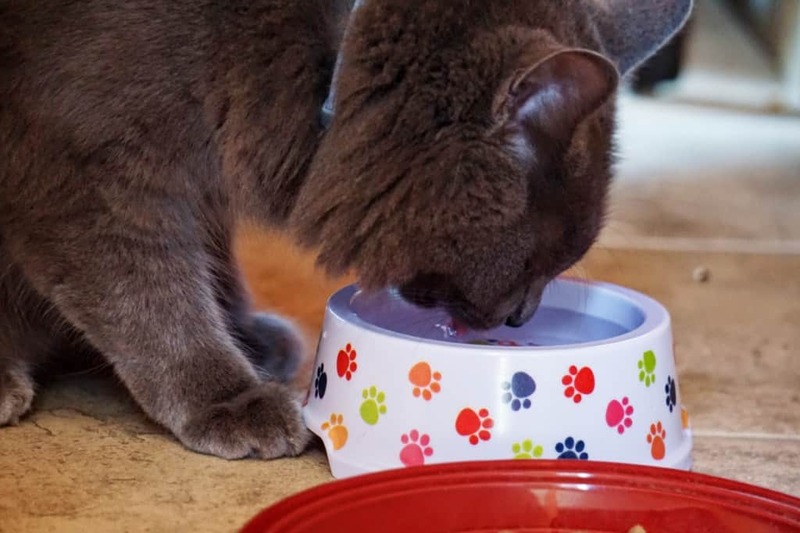 Stimulation is essential to its well being as it creates a positive environment for your cat’s mental and physical development. We can only encourage them to keep on focusing on more sustainable products, made locally! The treats they sometimes provide (depending on the month, box, and your subscription) are made in North America, with occasional features from Europe, Australia, and New Zealand. Overall, they seem to pay close attention to the selection of their suppliers. How Much Is a KitNipBox? Yoda had a pawesome time with those toys! His personal favorite (and ours) was the cat wand. It’s just a great way to share some good times with your fluffy friend! We have been testing out every single toy for about a month now, and we can say with assurance that these are holding up to Yoda’s fierce bunny kicks and sharp fangs. Even one of the stray kitties, Piglet, whom we are taking care of in Mexico, comes inside to play with Yoda’s new toys. 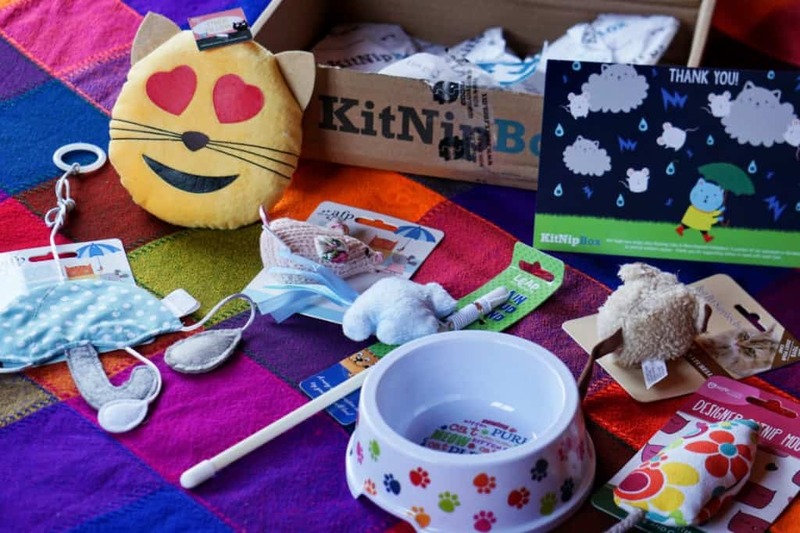 Overall, KitNipBox is a great subscription box that we can recommend for everyone eager to satisfy your little friend’s playful needs! 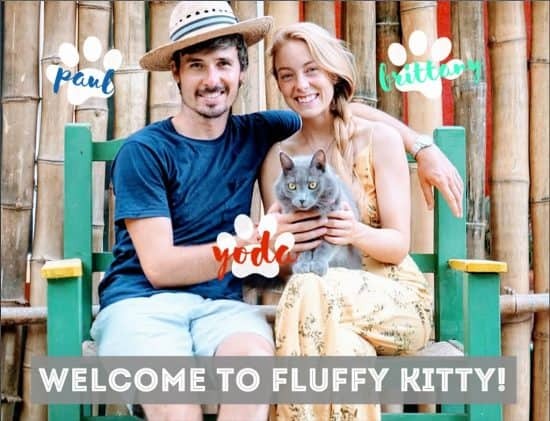 This article is a review of the monthly cat subscription box “KitNipBox.” Their team has kindly given this item as a promotional offer in exchange for Fluffy Kitty’s honest opinion and review. A special thanks to Diana for working with us to get our KitNipBox delivered to our new address in Mexico!